God's way of saving us is not to make us good, but to take us out of Adam's family and put us in Christ. God makes us one with Christ so that all He is becomes ours. What does it mean to be in Christ? It means that I am united with Christ. It means to be one with Christ. It means that I share in all that He is and all that He has. "But of Him [God] are you in Christ Jesus…" (1 Corinthians 1:30). "If anyone is in Christ, he is a new creation; old things are passed away; behold, all things are become new" (2 Corinthians 5:17). I have a proper self-image. My "self-image" is the way I see myself. Aside from salvation, one of my deepest needs is to see myself as somebody who is worth something. God's way of meeting my need for a proper self-image is to put me in Christ. Do you know how God sees His believers? He looks at us and sees His beloved Son. He sees Christ! To be a son or daughter of a king would be a great honor, but we are sons and daughters of the living God. You cannot get any higher than that! To the praise of the glory of His grace, wherein He has made us accepted in the BELOVED" (Ephesians 1:6). 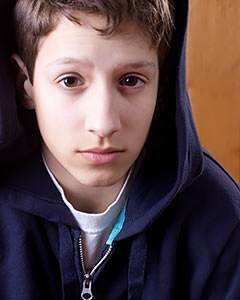 Within the last year, three of my friends tried to commit suicide. Life was too much for them. They couldn't hack it. This world ate them up until their only thought of escape was death. Loneliness is universal. It eats inside your system. It brings a vacuum of emptiness, a fear of death, a gnawing hunger of wanting to be understood and loved. Loneliness is a sickness. It hurts. For some it hurts so much that they do anything to run away from it. You can have a million close friends and still be lonely. You can be the bestlooking, most popular, most successful person on earth and still be lonely. No matter what you do, where you go, or what you try to be, loneliness still eats your heart. Lonely people need love: warm, flowing love…love can kill loneliness. "I will love you IF you make me proud of you." "I will love you IF you please me." "I will love you IF you do what I want you to do." We need someone who loves us unconditionally. We need someone who loves us when we fail, someone whose love does not change. Christ is the only Person who can give us this kind of love. Christ's love for us never changes. He says to us, "I love you with all My heart, and I will always love you. Nothing can ever separate you from My love." "For in Him dwells all the fullness of the Godhead bodily. 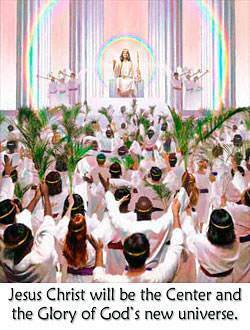 And you are complete in Him who is the head of all principality and power" (Colossians 2:9-10). God does not give us a lot of "things"; He gives us Christ. 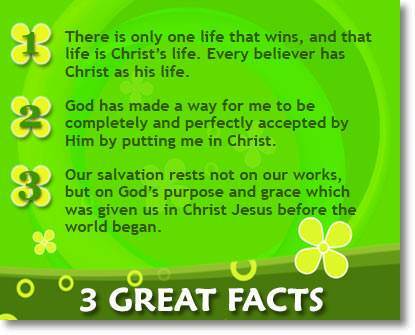 Christ is God's everything, and He has given Him to us to be our everything. He is everything we need. • Christ is my righteousness. God does not promise to make me righteous; He gives me Christ as my righteousness. The Bible says, "Of Him [God] are you in Christ Jesus, who of God is made unto us wisdom, and righteousness, and sanctification, and redemption" (1 Corinthians 1:30). On his deathbed, a greatly honored servant of God said, "Christ is my righteousness, and that settles everything." • Christ is my victory. When I was seeking salvation, God had to show me that what I needed was Christ, not my works. "For by grace are you saved through faith; and that not of yourselves: it is the gift of God: not of works, lest anyone should boast" (Ephesians 2:8-9). Victory is totally and completely the work of Christ. He has already won the victory over sin, death, and Satan. Victory is Christ's work; our part is to triumph in His victory. 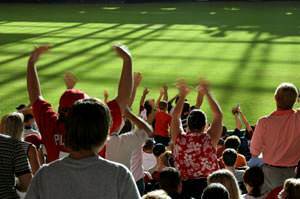 Suppose that your school team is involved in a crucial game. Your team wins! Along with your fellow students you wave your hands and shout with joy, "We won! We won!" This is triumphing in victory. Your team won the victory, but you and your fellow students triumph in the victory. 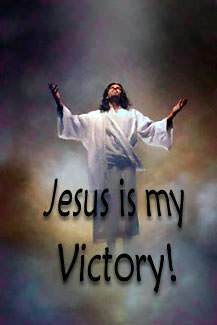 Christ has already won the victory for us, and His victory is our victory. 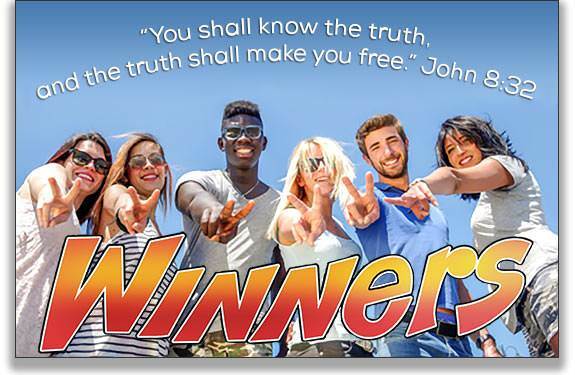 When you are triumphing in Christ's victory, and rejoicing in Christ, you are in victory. "Rejoice in the Lord always: and again I say, Rejoice" (Philippians 4:4). When you fail, remember that Christ has not failed. Christ is still your victory, and He cannot fail. You are still His. He has not changed. You failed because you just took things out of His hands. Hand them back to Him! Go to Christ at once and confess your sin. God says, "If we confess our sins, He is faithful and just to forgive us our sins, and to cleanse us from all unrighteousness" (1 John 1:9). Believe that He has forgiven you and cleansed you. Thank Christ that He is your victory. "When Christ, who is our life, shall appear, then shall you also appear with Him in glory" (Colossians 3:4). "I have been crucified with Christ: nevertheless I live; yet not I, but Christ lives in me: and the life which I now live in the flesh I live by the faithfulness of the Son of God, who loved me, and gave Himself for me" (Galatians 2:20). "Always bearing about in the body the dying of the Lord Jesus, that the life also of Jesus might be made manifest in our body" (2 Corinthians 4:10). Jesus Christ was the most joyous Person who ever walked on this earth. Just before Jesus went to the cross, He prayed to the Father that we might have His joy fulfilled in us. Our Lord is filled with joy for four reasons. 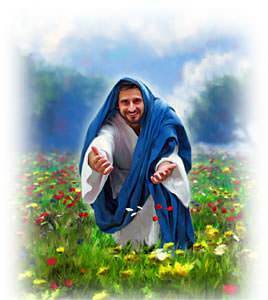 He brought to pass all the pleasure of God in His life (Matthew 3:17). All of God's pleasure and delight now rest on Christ. He removed everything that was against us in His death (John 1:29, Hebrews 9:26). He revealed the love of God to us in His death. "God shows His love toward us, in that, while we were yet sinners, Christ died for us" (Romans 5:8). He has set His believers before the Father in all the blessedness of Himself (Ephesians 1:4,6). The turning point in my life is when I become conscious of the fact that Christ loves me with all His heart. 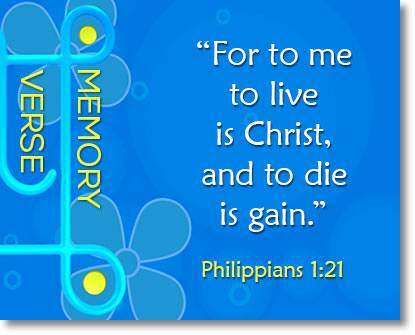 The apostle Paul said, "The Son of God loved me, and gave Himself for me." He loves me so much that He has a right to me. 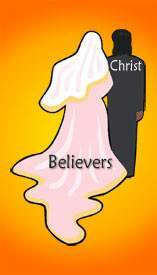 "I am my Beloved's, and my Beloved is mine…" (Song of Solomon 6:3). "You shall be a crown of glory in the hand of the Lord…for the Lord delights in you…as the bridegroom rejoices over the bride, so shall your God rejoice over you" (Isaiah 62:3-5). God is going to have a new universe. "We, according to His promise, look for new heavens and a new earth, in which righteousness dwells" (2 Peter 3:13). God is going to have a new universe of righteousness, love, happiness, and joy, headed up by His Son. Jesus Christ will be the Center and the Glory of this new universe. He will fill this universe with the glory of God. Christ will reign forever and ever, and we will reign with Him, sharing His power and His glory forever. 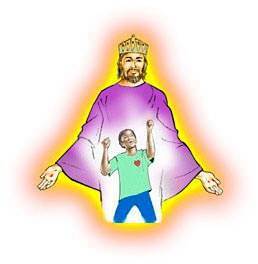 This is the glorious future that awaits every child of God. "[God] has saved us, and called us with a holy calling, not according to our works, but according to His own purpose and grace, which was given us in Christ Jesus before the world began" (2 Timothy 1:9). Knowing this will cause us to adore and worship our God forever! "The world is passing away, and the lust of it: but he that does the will of God abides forever" (1 John 2:17). There are two people in the Bible of whom nothing negative is said. One of them is Joseph; the other is Daniel. Daniel lived all through the seventy years of Babylonian captivity. His courage and unswerving commitment to God paid off time and time again. 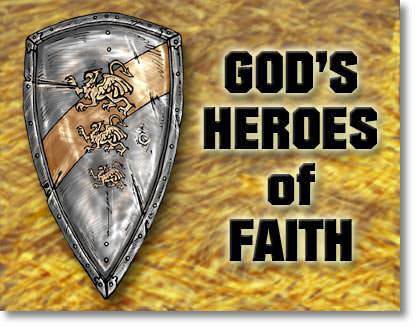 He stood up for God against King Nebuchadnezzar and eventually won him to faith in God. He stood up for God against the king's wicked grandson, Belshazzar, and saw his kingdom fall to the Medes and Persians, under King Darius. Darius decided to divide the empire into 120 states ruled by 120 governors. Over these governors were three presidents; of whom Daniel was the first. 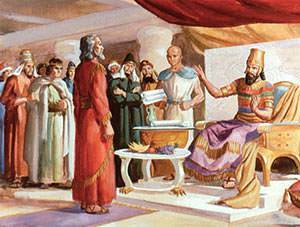 King Darius was so impressed with the excellent spirit in Daniel that he was planning to make him ruler over the entire empire. When the other presidents and governors heard about it, they were jealous of Daniel and tried to find something bad about him that they could report to the king. But they could not find a single thing. 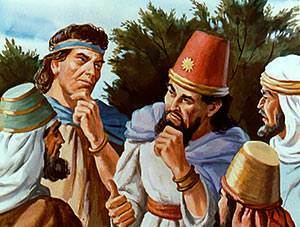 Daniel was so faithful in his duties that no one could point to a single fault in him. They decided they could not find anything to complain about Daniel, except his religion. 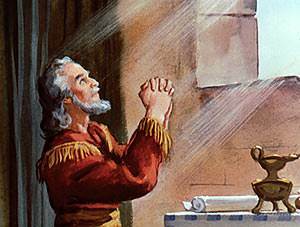 They knew that three times a day, Daniel opened his window towards Jerusalem and prayed to his God. Finally they conceived an evil plot to destroy Daniel. They came before King Darius and said, "King Darius, live forever! All the presidents and governors of your kingdom want a law made that any person who prays to anyone but you for the next thirty days shall be thrown into a den of lions. O King, make this law and sign it, so that even you cannot change it." King Darius was flattered by this request. It appealed to his pride, so he had this new law drawn up and he signed it. When Daniel knew that the law had been signed, he went to his home, opened the windows of his room toward Jerusalem, knelt and prayed and gave thanks to God three times a day as he had always done. When Daniel's enemies found him praying to his God as he had always done, they were happy. Everything was working out just as they had planned. They went to King Darius and said, "Have you not signed a decree that any person praying to anyone but you for thirty days must be thrown into the den of lions?" (Daniel 6:12). King Darius said, "Yes, the thing is true. It is now a law of the Medes and Persians which can never change."